The individual skills learned through debate have a broader impact on society as well. Debate can help fledgling democracies heal from the wounds inflicted by oppressive dictatorships and ethnic violence by providing a forum where these volatile issues can be openly discussed. Newly enfranchised citizens engaged in such debates learn first-hand how democracy works. Additionally, because it teaches the principles of tolerance, nonviolence and respect for different points of view, debate can close the gap between minority and majority cultures, and other groups divided by long-standing animosities. IDEA sees debate as a way to foster international understanding, cooperation, and a free and lively exchange of ideas. In bringing together students from around the world and from vastly different backgrounds, IDEA events offer much more than a mere contest of formal argumentation. 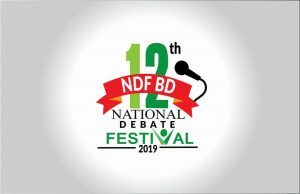 By their very nature, IDEA debates break down national, economic, cultural and ethnic boundaries, showing that opposing views can be explored in a way that connects rather than divides people. As a process that both embodies and encourages peaceful discussion rather than aggressive confrontation, debate offers the world a tool that could not be more timely or more necessary.